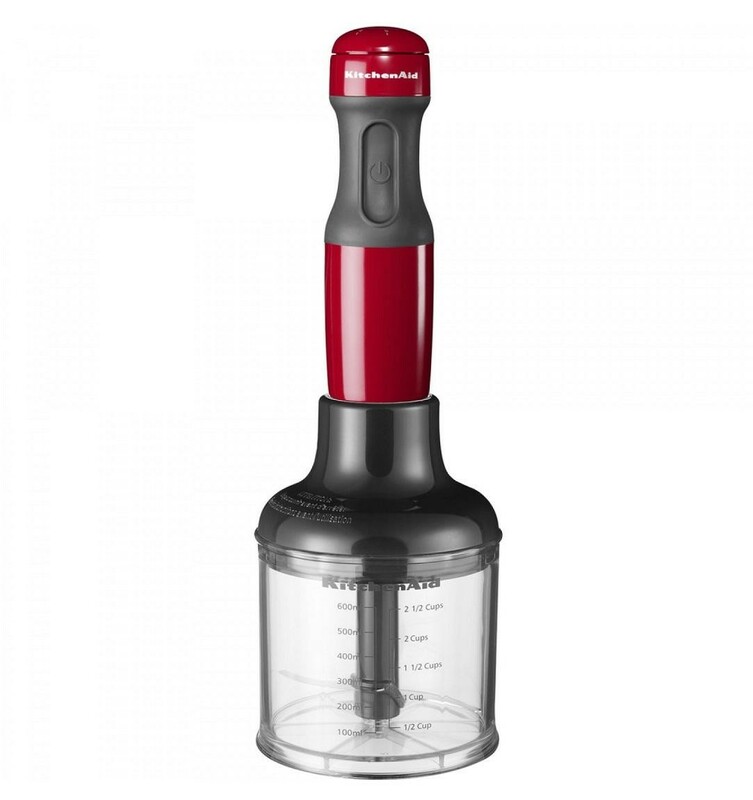 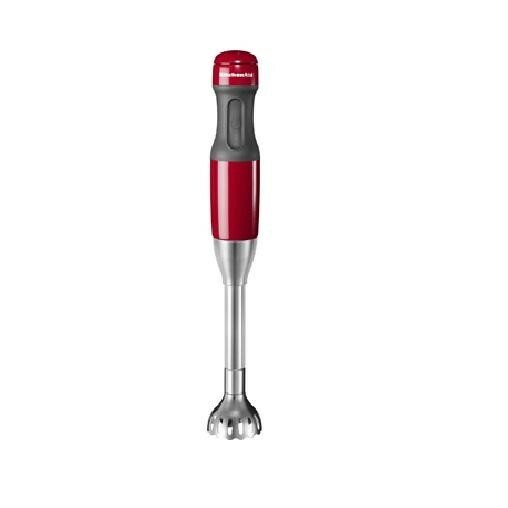 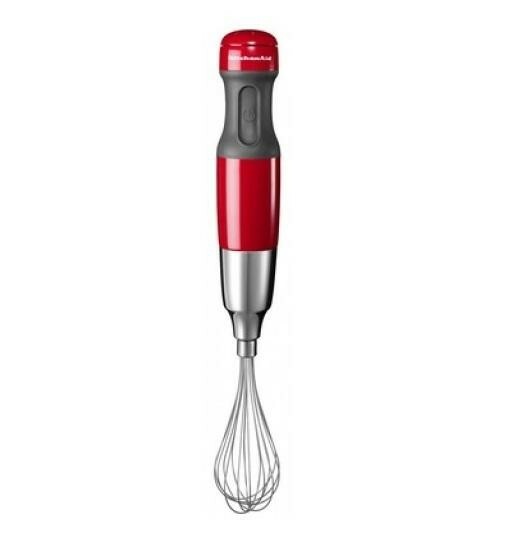 The KitchenAid 5KHB2571BER 180W Hand Blender 5 Speed Red is the ideal hand blender that will allow you to explore more of your culinary side. 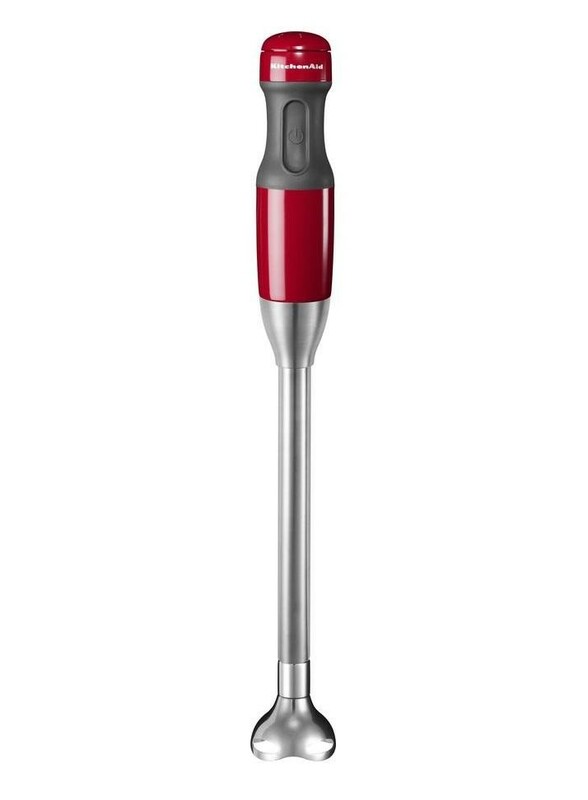 The 2 twist-lock stainless steel removable blending arms allow you to chose between a 20mm and 33mm so you can blend from the right height and the 3 interchangeable stainless steel bell blades allow you to chop, crush and froth with the s-blade, star blade and frother/beater. 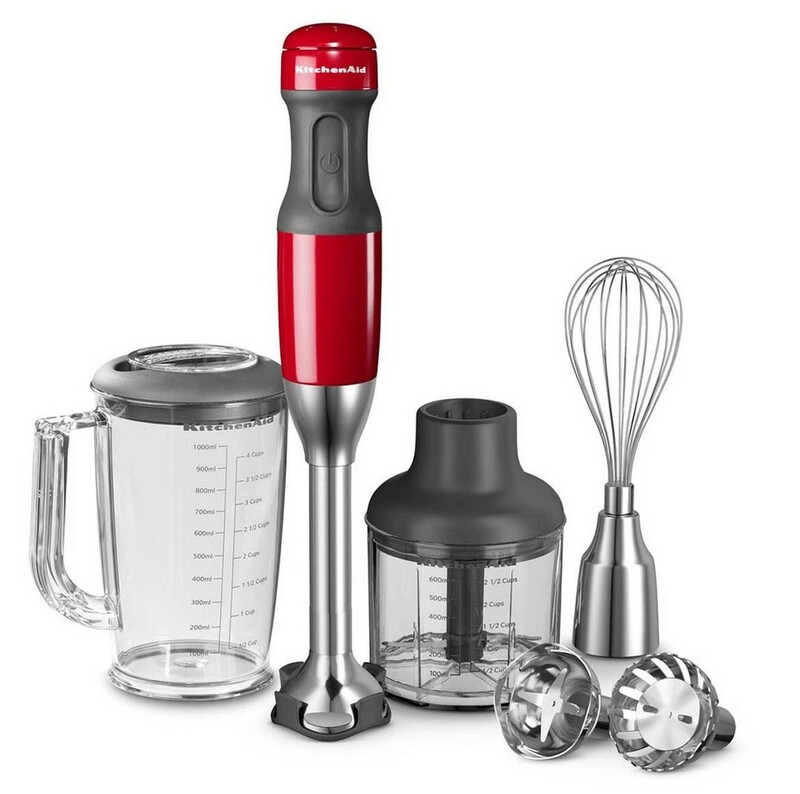 The 5 speeds enable you to always be in control and the 1 litre pitcher enables you to make enough for all your friends.